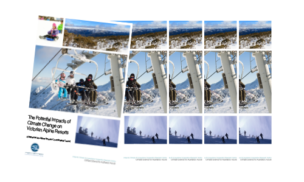 In recognition of changing climatic conditions,the Antarctic Climate & Ecosystems Cooperative Research Centre was commissioned to provide research into the likely future impacts at Victoria’s alpine resorts. 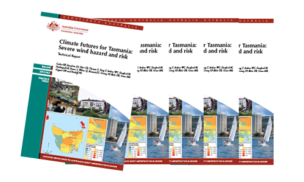 Assesses regional changes in fire danger in Tasmania through to the year 2100. 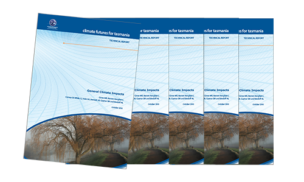 Investigates the severe wind hazard and risk to residential buildings. 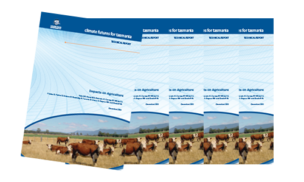 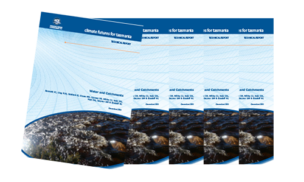 Examines extreme rainfall, temperature and drought events in the Tasmanian context. 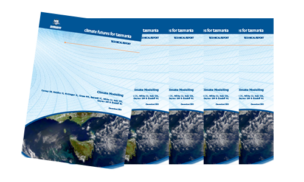 Describes the development of spatial maps that provide a basis for the investigation of the possible impacts of future climate change due to sea level rise and changes in weather conditions. 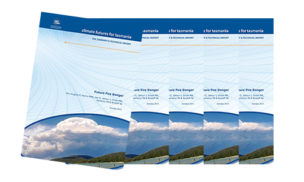 Sets out the performance of the model simulations in reproducing the Tasmanian climate. 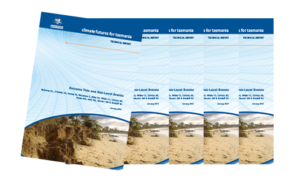 Sets out the projected changes to Tasmania’s climate during this century. 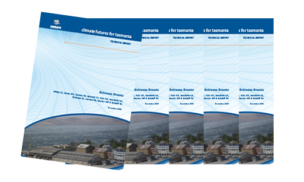 Authorised by the CEO of the Antarctic Climate and Ecosystems Cooperative Research Centre.